The Workshop of the Mediterranean Exchange of Archaeological Tourism is the only meeting place in the world for demand and offer regarding the archaeological world: it is reserved to the touristic offer operators to provide the best business opportunities in the B2B meeting with international demand. The buyers from 8 different Countries will meet over 120 sellers. The participants receive upon the inscription the list of the buyers to have the opportunity to present their offer and to know their possible speakers. 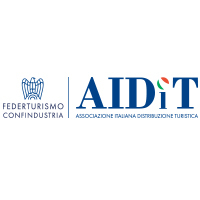 The demand is selected following strict quality criteria (the volume of business generated in Italy by the company, the number of visitors brought in our country in the last two years, the number of employees, the general revenue). The buyers from Center and Nord Italy will meet national sellers. The participants receive upon the inscription the list of the buyers to have the opportunity to present their offer and to know their possible speakers.